Some users may need to run JRE6 in modern MacOS releases, in which case you can download an updated installer appropriate for macOS High Sierra, Sierra, El Cap, and Mavericks too. 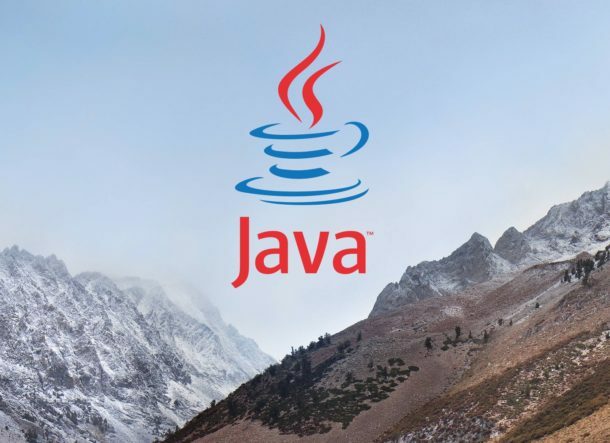 Download and run that Java installer to install Java Runtime Environment 6 in modern Mac OS versions if needed. Needed Java for Photoshop CS6. I still get one error, but it’s not a problem. Might be worth trying another reinstall. HEY! last week we weren’t supposed ta use java…..what gives? If you need to use Java, you have to install Java to use Java. If you don’t need to use Java, you don’t need to install or use Java, and you should not install or use Java. This is not complicated, so don’t over think it. Alert States: “To open Adobe Photoshop CS4 you need to install the legacy Java SE 6 runtime.” I installed this several times, restarted several times, but I keep getting the same message and cannot use Photoshop CS4. What gives? OS 10.13.1 will not let you install the legacy JRE 6 (10.13 did). Looking for a workaround. To install 2017-001 on Mac OSX 10.13.2 (High Sierra), visit https://support.apple.com/kb/dl1572?locale=en_US using Chrome browser. Safari will not present the download link. Rather inconsiderate of them. The installer works and Adobe CS5.1 works! If I install this version of Java (in order for my old Adobe Dreamweaver to work) using this method, will it wipe out my newer version? If both versions are installed how will newer programs know to use the latest version?